Grandmaster M.K. Kim was born in South Korea and arrived in the United States in 1988. He lived in Pittsburgh, PA and taught at the International Tang Soo Do Headquarters as the head master under Grandmaster C.S. Kim. In 1995, Grandmaster Kim and his family relocated to Charlotte, NC and he founded the World Hanguk Tang Soo Do Federation. He is also skilled in Tae Kwon Do, Hapkido and Haedong Kumdo. Recently, he was appointed as the president of the USA Haedong Kumdo Federation. 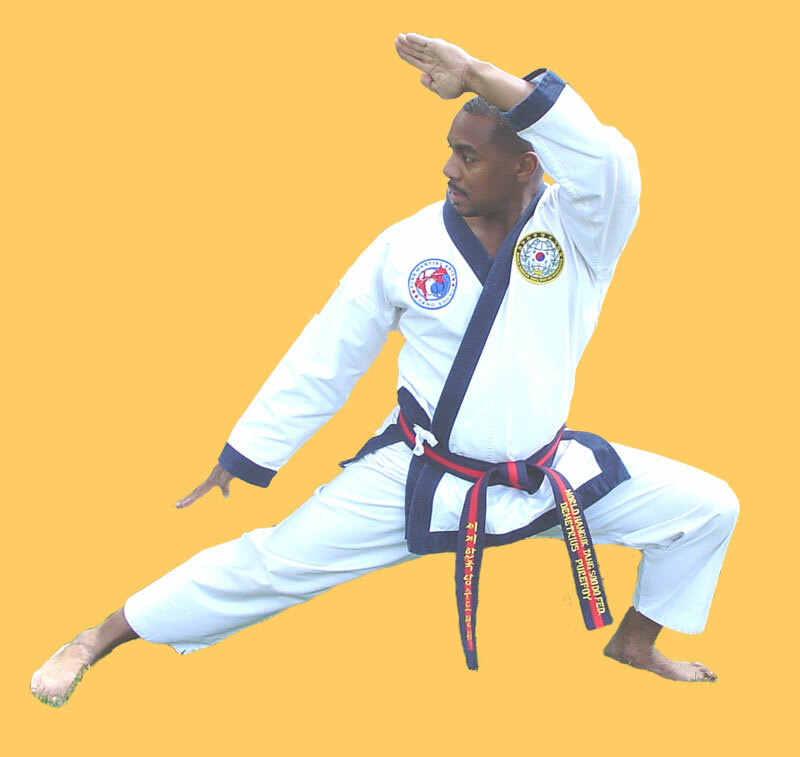 Sa Bom Nim (Master Instructor) D. Purefoy, Chief Black Belt Instructor of Pure Martial Arts Fitness Academy, holds the rank of 6th Degree Black Belt. He is a military combat veteran (U.S. Air Force) with 32 years experience in the Martial Arts to include training in Japan and Korea. Master Purefoy has won 3 Grand Championships and many victories locally as well as abroad. He’s a graduate of Southern Connecticut State University with a major in Accounting. He worked as an Excise Tax Accountant for a Fortune 300 Company in Greenwich, CT until receiving a blessing in disguise when the company was acquired in 2005. 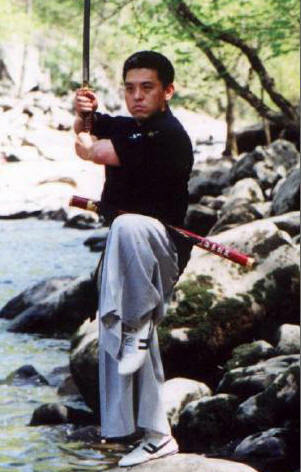 He then pursued his lifelong passion as a full time Martial Art Instructor. Sa Bom (Master) Purefoy believes that persistence, dedication, commitment, humility, and patience are the forces within us all that makes us the best of the best. However, sometimes these forces are dormant within us and need to be nurtured to the surface. His Martial Art is that vehicle which makes it possible. "I began training just before I turned 17 years old. I started learning the art of Tang Soo Do from Master Salim Hasan in Norwalk, CT. After two years practicing and out of high school, I decided to join the United States Air Force as an Air Base Ground Defense Specialist to include Law Enforcement, Security, Military Police, and Peacekeeper Tactical Units. I knew this would keep me in the line of self-defense and more, but more importantly it gave me the opportunity to be stationed in Okinawa, Japan and Korea. These were the two countries that my foundation in Tang Soo Do was derived. I began training with and under different Masters from different styles like Kuk Sul Won, Master Larry White; Tae Kwon Do Champion, Master Mon Del Rosario (from the Philippines); and again Tang Soo Do Moo Duk Kwan and Muay Thai (style) Kickboxing, Master Song Kyu Hwa and Master Moon Kap Kim from the Song ton Dojang in Korea among a few others not mentioned but well respected. Song ton Dojang was the actual school outside of Osan Air Base that Chuck Norris and other U.S. pioneers before my time studied and learned their discipline. I feel honored and so very fortunate to have had the opportunity to be influenced by such great Masters during my life, and now I have the great opportunity to pass it on". If you like what you see, be sure to get all notifications and promotions by becoming a Fan of the page.